Support the healthcare needs of our communities. This family event is hosted by the Oswego Health Foundation and will be held on Saturday, August 12, 2017 at The Manor at Seneca Hill in Oswego, NY. There will be a Kid’s Fun Run preceding the race at 8:00am with the 5K Run/Walk at 8:30am. Pre-registration $25.00 until July 12th and $30.00 thereafter. For questions email foundation@oswegohealth.org or call (315) 326-3791. 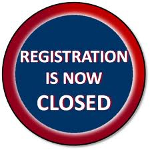 We are sorry, but on-line registration is closed.